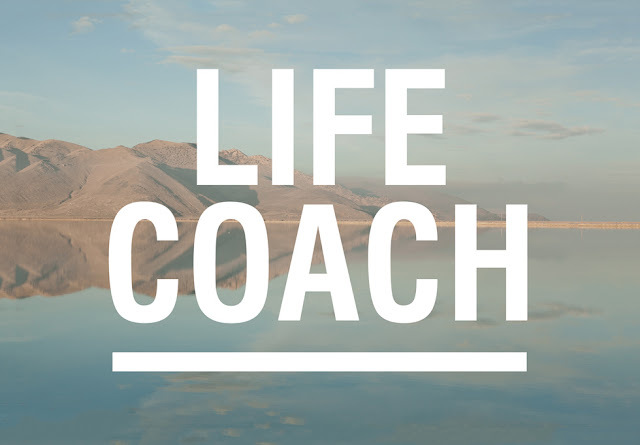 Why is a Life Coach, & Training to be one, Selling like hot Cakes? How many times have you felt like your life is full of stress, tensions, and worries and a Facebook ad on lifestyle Guru, or life coach allures you? Strangely I’ve always been tempted to such ads, and feel like these would really transform my otherwise, stressful life into a life of bliss. And what are stranger are these days, there are a plethora of courses, which claim to be giving the training to be life coaches. What makes me wonder is, what exactly these guys would teach us that we don’t know. Or how are they so adept at changing their lives, and claim to teach us the same, and transform our lives in such short span of time, when we are struggling with our lives, the whole time. First & foremost question emerges, is something really wrong with our lives, these days. The answer is obviously yes, we have stress, anger at the drop of a hat. A scheduled Meeting is postponed by a day, or even by 15 minutes, and our schedule goes haywire. Kids have homework, we are stressed, no homework, again, stress. Going out on holiday, great, but what to pack, how will I adjust to the climate there, stressed gain? We don’t realize, but our minds, are constantly working, analyzing situations, and presenting with “what ifs” that we fall into the trap of a negative thoughts cycle. And this becomes our habit, what if there is traffic, on the way, what if, my meeting is postponed, what if I do not like a new job. Negativity is the single-most factor, causing all the issues, in our otherwise perfect lives. Yes, our lives are perfect in every angle, with every facility, every comfort, and success comes in really early. But with our wiring of the brain, can we enjoy it, not really. So, do we all get ourselves a life coach? Well we can, but the answer is pretty much, simpler than this, just need to rewire ourselves, and need a permanent connection with our real self. How we may ask? Meditation, is the answer here, start your day with true meditation, which connects one with God. You meditate on God’s words and connect with higher self, and this higher power will charge you every day, like the powerhouse and bring loads of positivity, willpower, needed for a fulfilling life. Where can you get these God’s words or what are they? 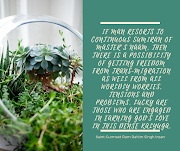 Well, being a land of Gurus, our country, definitely, has the upper edge in finding a true Guru, which our country is blessed, with in abundance. We would have heard of umpteen Gurus today, Sri, or Sadhguru, Baba Ram Rahim. Now don’t fall for traps. 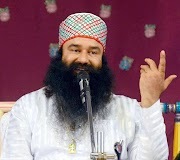 A Guru, which millions swear by, is Baba Ram Rahim, the chief of Dera Sacha Sauda. His meditation sessions are an eye-opener, towards real power. 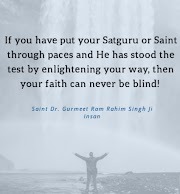 Having attended, one of his sessions, Naam or method of meditation as it is called, imparted by Baba Ram Rahim Guru Ji, is a tonic for the soul. You feel your real self as a soul, and with practice, connection with higher self is no mystery. This Guru is the Guru of the masses, but that doesn’t make him less effective, as people, especially the educated ones, have developed myths. After all, how much ever, educated we may become, we still share the same form, like other humans and the same structure, mind, and body, and connecting with the higher self is a universal truth, and our biased, judgmental-mindset, will not help solve issues. An open mind will definitely. A single session, of this true meditation, rejuvenates, mind and soul and you look forward to this connection, and positivity starts building up, changing the whole thought process. Be your own life coach, own your lives, and see the transformation happen.